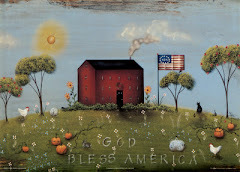 Cottage School Blog was created by a 23 year veteran homeschool mom, and mother to 12 children. I am sharing here what I have found to be some of the best curricula, websites, homeschool blogs, ideas, methods, etc., in hopes to benefit and encourage you as you journey through the world of training and educating your children. Boy howdy it's been a long time since I posted anything on this blog. I've fallen into a slump and haven't been doing the research I should in order to help my fellow homeschooler. Well today all that has changed and I have a new little something that I am really excited about and thinking about implementing with 2-3 of my children. Haven't decided yet. But here it is. This is for those who truly love the classics and love seeing them being used in your home. It is through the site mainless.com and is built from that. HERE is the link for more information on it. I love the idea of building my own online curriculum for each of my children taking the guess work out of each day. Have fun reading over the website. Check out Ron Paul's free homeschool curriculum. Wonderful alternative for public school families who would rather opt out of the Common Core Curriculum. HERE is the link to download them! I hope you enjoy them as much as we do. I look forward to Thanksgiving. And especially on implementing all the fun ideas I found from THIS website. If you are looking for great ideas then this is the place to go! Here's an awesome giveaway you might want enter. Click Here to enter. Royal Daughter's of a king is giving away several prizes! 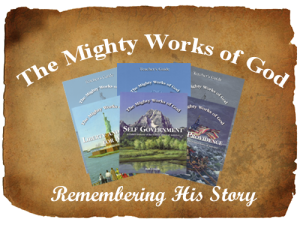 The Might Works of God Series was written for the home and school, that the boys and girls of the 21st century might remember the mighty works of God in bringing forth this nation. Many have learned to recognize His hand in the liberty which we know in America, others have forgotten, and some have denied. This series for children is designed to help us remember. I love these books for teaching history to children. Straight forward and in keeping with the still immature minds of the younger set. It is all we use to teach American History to our younger kids. And if you have 2 or 3 kids near the same age this still will work very well. The Christian self government that is taught throughout the series is what I as a parent admire the most. Each of us, especially our children need to learn how to govern our own hearts through the teachings of Jesus Christ. These series really focus on that fact through each lesson. The stories are very well written and full of factual information about our country. We love studying latin around our house. It has helped in so many ways with our reading and comprehension. And sometimes just in following a conversation. Here is a wonderful way to begin your latin journey. It will come as no surprise to homeschooling families that the bulk of the evidence collected over the past decade or more has shown that home educated children typically fare better than their public schooled peers of academic achievement tests. According to a study of 5,402 homeschool students from 1,657 families done in 1997, titled "Strengths of Their Own: Home Schoolers Across America," homeschooled students consistently outperformed public school peers by an average of 30-37 percentile points in all academic subjects. I just ran across this resource and I'm thinking I will go with it. I need so much help in this area of homeschooling and this seems to fit the bill perfectly. Here is a brief description. 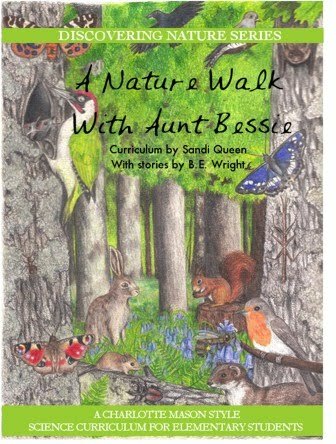 This one-year curriculum for elementary ages has everything you need to give your child a Charlotte Mason style education in science and nature study. 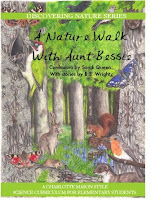 Daily lessons build upon each week's detailed nature story from Aunt Bessie, who shares with her niece and nephew all about the marvels of God's creation. Learn about insects, birds, butterflies and moths, worms, wasps, and all sorts of creatures through the fun, short lessons, which vary from day to day, giving your child the variety of hands-on lessons, read alouds, researching, writing, coloring, nature sketching, and more! Consumable. 180 daily lessons for any child who is reading on his own, up through about 6th grade level. Go HERE for more information. I came across this remarkable cursive writing program. My children normally will do a cursive writing program for up to 5 years depending on how quickly they catch on to my standards!! I am excited to begin using this with a few of my children. It is called Pictures in Cursive by Queens Homeschool. They come complete with beautiful photos too so children not only practice their penmanship but also get to preview some great art. There are 7 levels available. HERE is where you can get more information on it. Up here in WI we get plenty of cold weather. If you have your share try some of these winter fun activities with your family. 1. The Mpemba Effect was discovered in 1969 by a student. See if you can name the results of this experiment. Pour hot water into one container and cold water into another. Make sure you don't mix up the containers. Place containers in the freezer or outside to freeze. Check on them often to see which on freezes first. According to your results: what do you think the Mpemba Effect is? Answer: The Mpemba Effect is a phenomenon where hot water freezes faster than cold. Fill the can with full with water and put the lid on. Tape the 2 pencils on each side of the bottom of the can. Place the bottle cap in the center on top of the lid. Take the 3rd pencil and place it on the bottle cap. Take one rubber band and place it around all 3 pencils on one side of the can forming a triangle with the rubber band. Do the same with the rubber band on the other side of the can. Make sure the top pencil can't move and place your can in the freezer or outside overnight. Note what happened. Did the water expand or contract when it freezes. Cover the ice in the bowl about halfway with water. Sprinkle salt over the ice. Bury the soda bottle in the ice. Allow it to stay buried for 30 minutes. It should not freeze. After the 30 minutes remove the bottle from the ice and open the bottle. What happened? It should have become slushy. Why did it get slushy? Answer: The carbon dioxide dissolved into the soda and reduced the freezing point. And when you opened the soda you released some of the carbon dioxide. Thus, the freezing point rose again. The liquid inside was already below that freezing point. Have fun and enjoy the cold weather! I'm not sure why I've always struggled with pulling together a timeline. Slowly I am going to get my act together and come out on top. If you are struggling too I found a great place to find some ideas, directions, and suggestion. Go HERE to read more. - The EES cover every topic. Many of the series are still household names almost a hundred years after they ceased being published. The most famous and popular of these series are the McGuffey's Readers and Ray's Arithmetics, but there were many other extraordinary series in the EES such as Pinneo's Grammars, Thalheimer's Histories and Norton's Sciences that have been used by countless students. Here is a wonderful sorting website that makes using ambleside online just that much easier. I find it to be invaluable. Hope it helps you too. Click on the link below. Sit yourself down for a spell, and restore your soul! 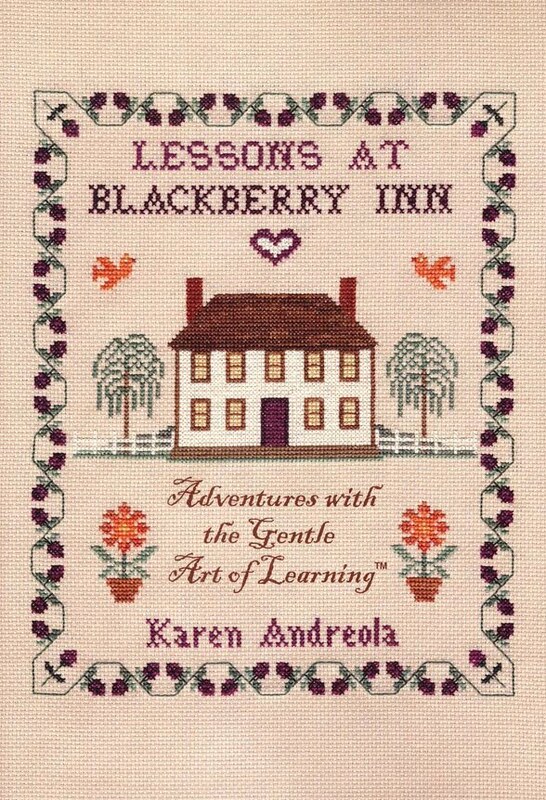 Infused with Charlotte Mason's gentle art of learning, this calming book follows Carol, a 1930s homemaker, as she adjusts to her first year living at Blackberry Inn. Refresh yourself as you drop into her idyllic world of canning, cleaning, homeschooling, baking, and other scenes of faith, hope, hospitality, love, and the lost art of homemaking! 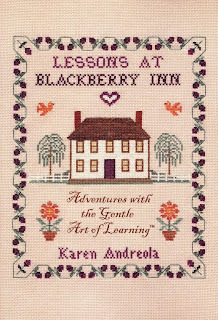 Written as a sequel to Pocketful of Pinecones, Lessons at Blackberry Inn may also be read as a stand-alone novel. A delightful treat for the homeschool mother. 224 pages, softcover. An online museum of sorts!! HERE is another wonderful site for your picture studies or if you simply love to look at art. I'm so glad I found this website. It will go perfect with art study. HERE is the link to a great place to find some great photos. Then this site is perfect. Quizlet has what you are looking for and much more. Go HERE to visit. Here's another great site if you love birds. Some wonderful poems that would be great for nature book entries. Click HERE to view the contents. 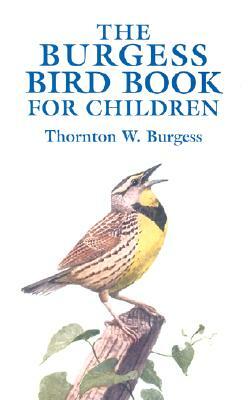 Here is a great link if you are studying the Burgess Bird Book or will be studying it. It has lots of great links and ideas to go along with the book. Click HERE to visit! This is a great site to find all those "lost" books that children love. Many living book titles for all subjects are listed here plus they are very reasonable too which makes it even more tempting. This is a really fun site for your kids. If you have young readers and they love to test their skills in a fun way then this is the place. We don't use it as often as I like because I forget about it and plus my children are not on the computer much. I think that if I blog about it then maybe I'll use it more often!! Click HERE to visit the Kids Zone!